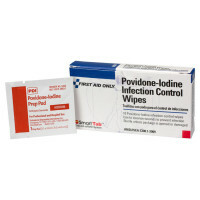 Povidone-Iodine Infection Control Swabs, Wipes, and Swabsticks: Used to Prevent Infection of Minor Cuts & Abrasions--available in swabs, wipes, and swab sticks. 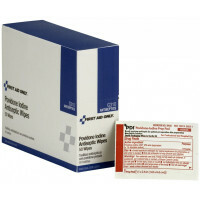 10% Povidone-Iodine Swabsticks, Povidone Iodine is a common medical and first aid Antiseptic used to clean eye and skin before an eye surgery, and for infection control. Commonly used in place of betadine. 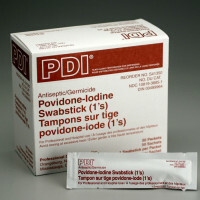 Povidone Iodine; ward off infection as you treat minor cuts, wounds and abrasions.